The September 11th attacks began a decade-long period of anti-immigrant policies in the United States. As a consequence, the US began the mass-deportation of “non-citizens.” Current estimates are between 4 to 6 million. Those hit hardest by these new policies were Latinos, primarily Mexicans, who make up 97% of those deported. They return to a country with a devastated economy in the midst of a cartel war. Stripped of all identification they are considered “illegal” in Mexico too, and as a consequence, unemployable…and criminal. Disavowed by both nations, they struggle to survive in a Hellish limbo along the border, separated from everyone and everything they know. At a rate of 400 a day, Tijuana is where most end up. The Plastic People is a film about those who left Mexico years before to build a new life in the States, had families, and contributed to their communities, yet still had not achieved citizenship. Children were taken from parents, leaving tens of thousands as wards of the state. Many were deported without any hope of returning, their families trapped on the other side of the border. Shot on location in Tijuana, this film follows the lives of three men who have found themselves stuck in an impossible situation as drug addicts, criminals and deportees, and who they become under these extraordinary conditions; how they find meaning, purpose and ultimately, redemption. In the background is a tableau of Mexican-American deportees living along the border just twenty miles from San Diego in the middle of a Cartel war zone. 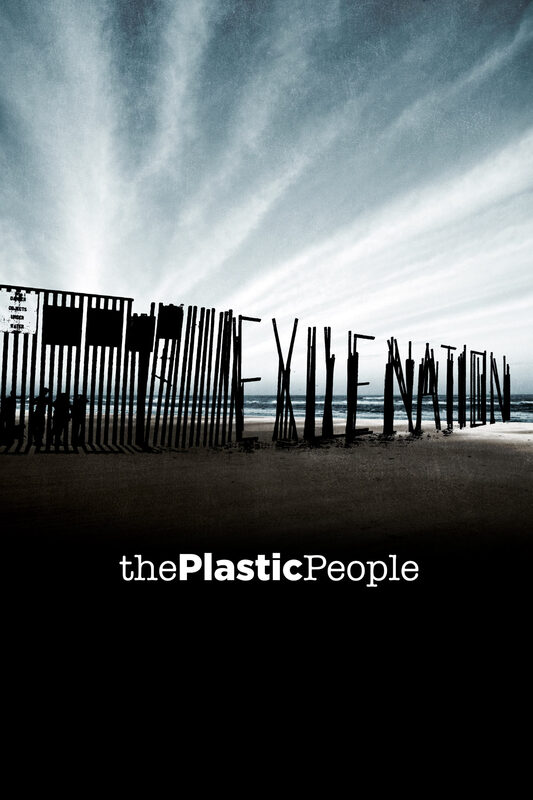 The Plastic People reveals how the exploitative policies of a failed war on drugs and immigrants added Tijuana’s “Zona Norte” to the growing international crisis of nationless refugees and deportees.